In case you didn't realize, 2018 is a big year for John Carpenter's classic Halloween series. After all, the slasher franchise is celebrating its 40th anniversary, not to mention getting a new film treatment from none other than David Gordon Green. Adding to all this is now Death Waltz Recording Company, which is set to release more soundtracks from the long-running series. 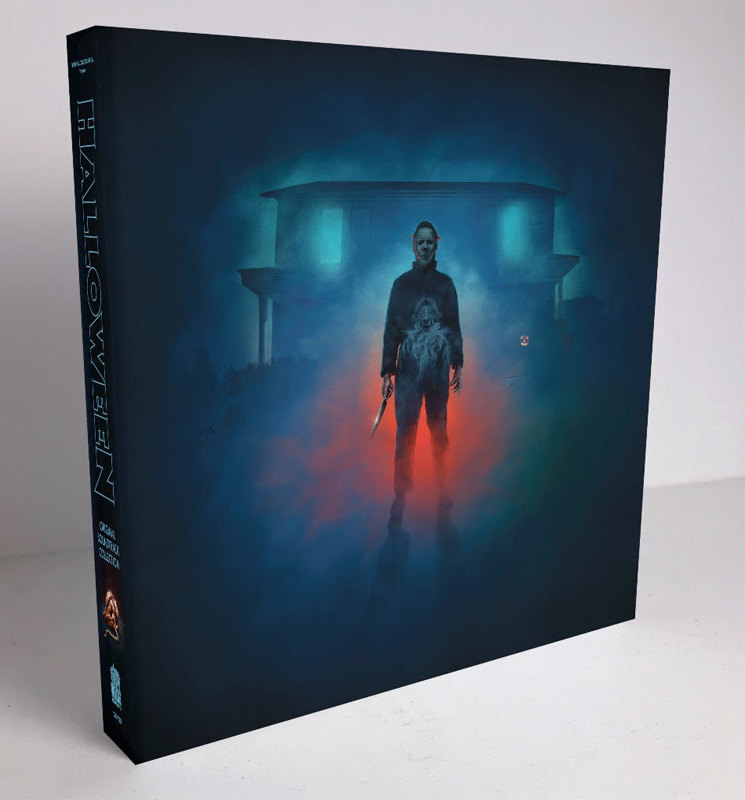 While Death Waltz has already given us vinyl reissues of John Carpenter and Alan Howarth's Halloween II and Halloween III in recent years, the label has now revealed plans to reissue the scores to Halloween 4 and Halloween 5. So far, the label has yet to make a formal announcement about its release plans, but DW has been teasing the releases heavily on its socials. UPDATE (7/23, 2:30 p.m. EDT): Death Waltz has now officially confirmed that the label is reissuing Halloween 4: The Return of Michael Myers and Halloween 5: The Revenge of Michael Myers. Both go on sale on July 25 over here via Mondo. As you can see below, Halloween 4 comes a red and white split, while Halloween 5 comes as a blue and white split. Up above, you can also see a slipcase that will ship for free to buyers who purchase both volumes. Furthermore, DW will repress Halloween III with in August, Halloween II in September and the first Halloween in October, all of which will come with new art. Down below, you can see various teases of the upcoming reissues, which are obviously sporting some fancy, newly imagined art. Upon the label's initial teasing, rumours arose that DW could be releasing a Halloween box set collecting the soundtracks to the first five films. However, at this point, it seems only Halloween 4 and Halloween 5 are confirmed. As you'll also notice, Halloween 4 and 5 actually are credited to solely Howarth and do not feature Carpenter (not to mention no longer featured roman numerals in the titles). Stay tuned for further details on the upcoming Halloween reissues as they become available. Meanwhile, Green's reinvention of Halloween — which is not a reboot — hits theatres October 19. As previously reported, Carpenter and Howarth's soundtrack to Big Trouble in Little China is also getting a vinyl reissue via Death Waltz sister label Mondo.